The Alvin Ailey dance company has been breaking barriers and bringing dance to the community since the late 1950s. The original American Dance Theater was founded in 1958. Alvin Ailey and a group of black dancers performed modern pieces at a New York City venue. Despite beginning as an exclusively African-American dance troupe, it has been integrated since 1963. The company has performed around the world, starting with its first international tour at the behest of President Kennedy in 1962. One of Ailey's primary concerns was bringing his art form to the people. He thought that everyone should have the opportunity to express himself through dance. 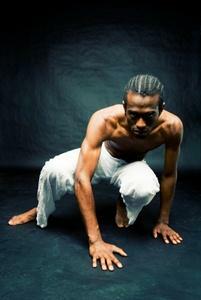 As a performer and choreographer, he believed in mixing art forms to create new styles of movement. He mixed classical ballet movements with stark sets and simple costumes while using his steps to evoke strong emotions. Currently directed by Judith Jamison, American Dance Theater maintains the founder's vision and style. It is the resident company at the New York City Center, and there are regular touring performances. Although the group performs dances from Ailey's 79 ballets, it isn't an exclusively Ailey-choreographed effort. Over the years, dancers have performed 200 pieces from 70 choreographers. Information about upcoming performance schedules is available online. Ailey II is a dance troupe designed for up-and-coming young dancers. It provides a bridge between their status as a student and a professional. However, the group has a unique energy of its own. By drawing on inexperienced performers and students, it can take advantage of a sense of daring and unbridled energy that older, more established dancers may lack. Members improve their technical dance skills while also engaging in teaching and community efforts. Many performers go on to join the American Dance Theater or other professional groups. Although the Alvin Ailey dance company is known for its professional performing groups, it also sponsors a number of other dance programs. The Ailey School is a serious school for students interested in pursuing a career in dance. Dancers enjoy a broad curriculum to ensure they emerge a well-rounded performer. Students under the age of 15 must enroll in the Junior Division program. Students who are over 15 may audition for the professional program. The school also offers a Bachelor of Fine Arts degree program in conjunction with Fordham University. The Arts In Education and Community Programs encompass the AileyCamp and AileyDance Kids initiatives. Camps are summer dance experiences for inner-city middle school students. They seek to increase self-esteem and critical thinking skills through the creative expression of dance. Multiple campsites across the U.S. allow even more students to take advantage of the opportunity. AileyDance Kids provides dance instruction in New York schools. Extension programs aim to make dance accessible to the general community. A wide range of classes includes traditional techniques like ballet alongside more modern dance styles like hip hop. Courses are designed for beginning and intermediate students, and there are special programs for younger students. Participants must pay a fee for each class, with discounts for purchasing multi-class passes, but there are no additional membership fees required. Private classes are available for groups of up to 30 people, and parents can also plan birthday parties for young children at the studios. The American Dance Theater web site offers an online store featuring posters, clothing, recordings, books, and accessories. The multimedia section of the site contains videos and e-cards. Visitors can also join an e-club to receive special access to blogs, video clips, and other downloads.